Locally to your current PowerShell session. To the machine, and accessible to all processes that run on that system. This method is fine, but the variable will vanish when the PowerShell process ends. 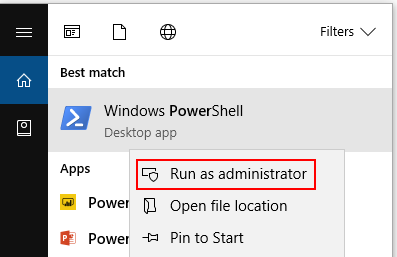 Note: This command will probably fail unless you run PowerShell as an administrator. 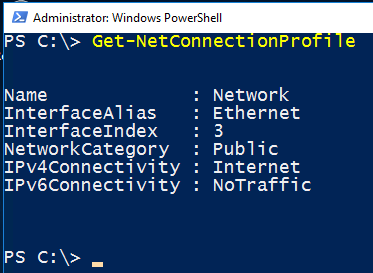 Many of the posts on this blog and others will require you to connect to Office 365 with PowerShell. The web admin interface for Office 365 is very good, but there are just some things that cannot be done via the web interface. So this post shows you how it is done and the problems you might come up against. I will go through each step in detail and then post complete code. Import-PSSession : Files cannot be loaded because running scripts is disabled on this system. If you do get this error, you need to change your PowerShell Execution Policy. Now you can run any commands you need. Choose “Y” when prompted to change the execution policy. You will now be able to connect to Office 365 with Powershell. Use the Powershell cmdlet Set-Mailbox to check email aliases assigned to Office 365 accounts, add aliases or remove aliases. 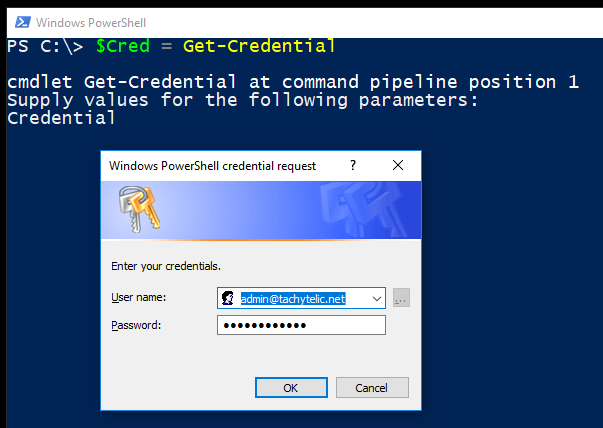 Additionally the handy form underneath will generate the correct Powershell commands for you. Get-Mailbox mailboxName | select -ExpandProperty emailaddresses | Select-String -Pattern "smtp"
Or you can just use the form below and the required Powershell will be generated for you…. Now that you have got multiple email aliases, here is how to configure Outloook so that you can send from an alias. Check if a web server is down. Check if a printer is working. Check if a firewall is blocking a port. Check if an SMTP Server is reachable etc. You can test for open ports using a variety of different tools all of which have their pros and cons. This is the probably the most common method to check for an open port. Unfortunately Microsoft stopped including the telnet client by default on Windows Server, so you will need to install the telnet client first if it is not already installed. The general syntax is: “telnet host portnumber”. If you do not specify a port number it will attempt to connect to the host on port 23, which is the standard telnet port. You can even manually send an email message directly to the SMTP server interactively using telnet. I will come to a flashing cursor while the print server embedded in my HP Printer waits for input. If I type “This is a test” and then quit telnet it prints a page with those words on it. Interactive so you can do more extensive testing of certain services. More or less available on any operating system. It is interactive, so it is not suitable for automated tests. Not installed by default on recent versions of Windows. But easy to install, follow these instructions. Not useful for check UDP ports. 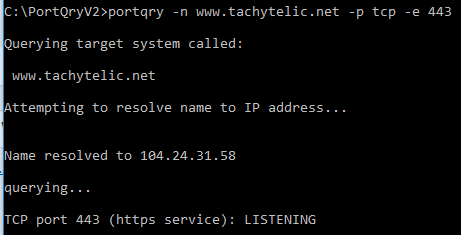 Portqry.exe is an old tool but still works well and has extensive options for port testing. It’s much easier to use within scripts or automated checks. 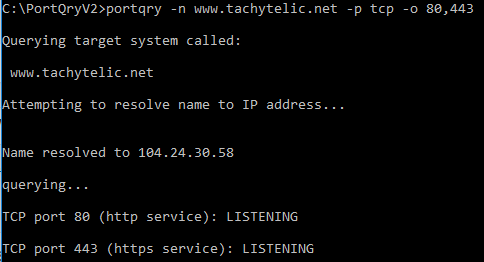 It can be used to check multiple ports in a single command and makes it easy to check UDP ports as well as TCP ports. Portqry.exe is excellent for scripting because of the vast number of options and that it can operate in quiet mode where it will simply return a status code, which is exactly what you would want if you were building this into a script. Portqry.exe has many options so it is well worth reading the documentation. Many options for checking both TCP and UDP ports. Quiet mode is excellent for scripting. It is not installed by default. It is old software, but still works perfectly on recent operating systems. 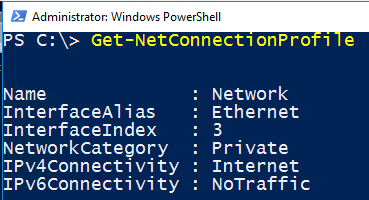 You can also use Powershell to test for open ports and this is a great option because it works well both interactively and for usage within a script. It’s built in to recent versions of Powershell and it is very easy to use. Not available on all versions of Windows by default. Only available via Powershell – which isn’t a problem, but might not fit in with some of your existing scripts.